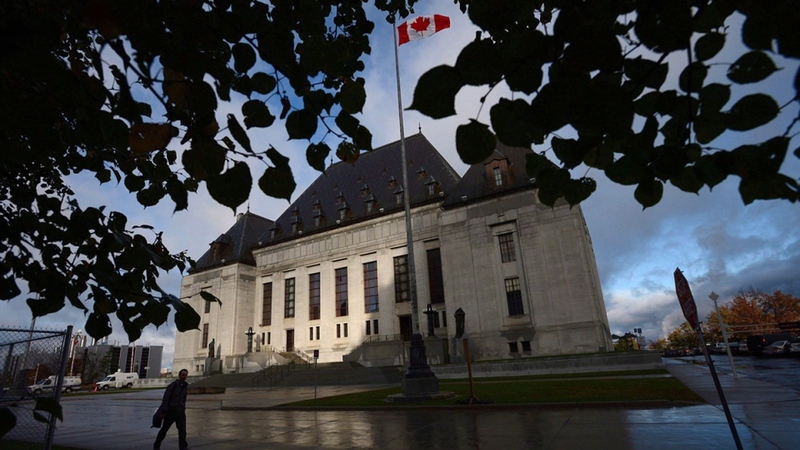 A hearing is underway at the Supreme Court of Canada to decide whether long-term expats should be allowed to vote in Canadian elections. The current rule should be repealed because it devalues the citizenships of Canadians who live abroad, one intervener in the case said Wednesday. “Our election laws, as they currently stand, effectively say that as a Canadian expat, you are less of a Canadian than anybody else and that you have fewer rights,” Allan Nichols, president of the Canadian Expat Association, told CTV News Channel. A rule enacted in 1993 prohibited Canadians living abroad for more than five years from casting ballots. But true enforcement of that law began under Stephen Harper’s former Conservative government. The restrictions were criticized by civil liberties groups, who argue the rule is unconstitutional. A famous expat, actor Donald Sutherland, has also voiced his opposition to the voting ban. Two Canadians living in the United States launched legal action after they were denied the right to vote in the 2011 federal election. Arguing that citizenship, not residency, is the key requirement for voting rights, Jamie Duong and Gill Frank initially won their case before Ontario Superior Court in 2014 but the government appealed the ruling. In a split decision in 2015, the Ontario Court of Appeal ruled the voting restrictions do infringe on the rights of citizens, but that it was democratically justified because the rules preserve the "social contract" between voters and lawmakers. The case has now made it all the way to the Supreme Court. Nichols said Wednesday that Canadians who live abroad still contribute, directly or indirectly, to bilateral trade and diplomatic relations between Canada and the countries they reside in. He used the example of various Canadian chambers of commerce operating in major cities around the world, where long-term expats are often employed. Nichols said Canadian expats still provide a significant value to the country. Since “any government that’s in power has an impact on Canadians abroad,” expats should be allowed to vote, he said.